Anne Griessbach-Baers, who handles such cases for the Berlin police, said, “We estimate that 80 to 90 percent of cases will not be reported,” indicating that the true number of homophobic crimes could be far higher. 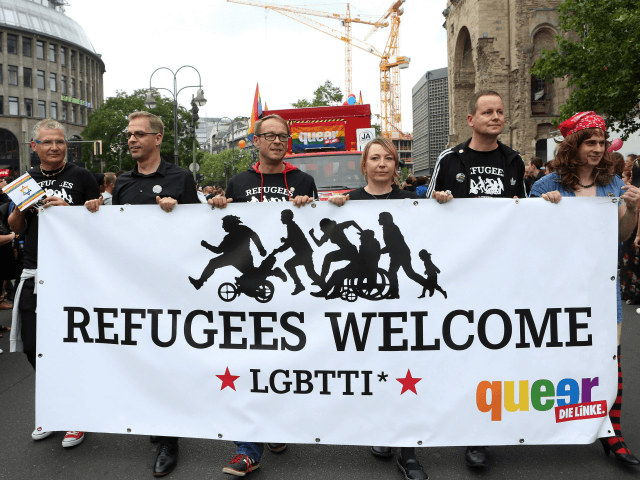 Homophobic attitudes among migrants and asylum seekers have been an issue since the height of the migrant crisis in 2015 with LGBT-only migrant centres opening in Berlin in early 2016 due to threats of violence. Migrant-background individuals have also been seen to be behind an outpour of negative attitudes, threats, and violence towards other minority groups in Berlin such as Jews. Earlier this year, Berlin’s Jewish community called for support in addressing the growing anti-Semitism, encouraging Jews and non-Jews alike to wear kippahs in solidarity. In response to the growth of threats and violence toward Jews from migrants and asylum seekers, German Chancellor Angela Merkel’s government accept a proposal to strip migrants of residency permits who commit anti-Semitic attacks.